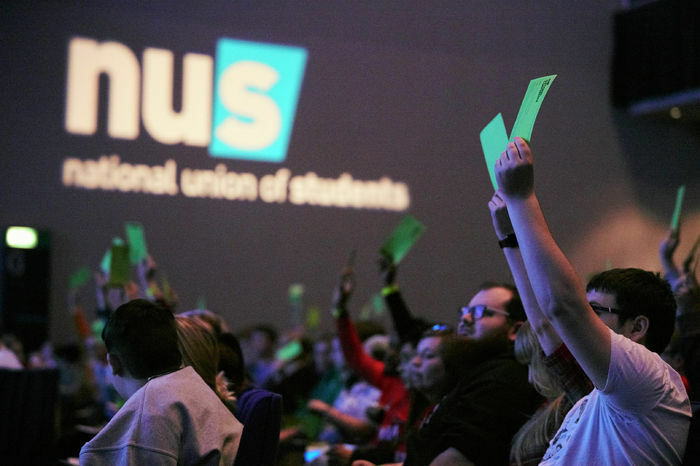 The National Union of Students (NUS) is cutting the entire budget for its postgraduate campaign, according to the NUS’ postgraduate representative, Amelia Horgan. Horgan announced on Twitter: “After winning the right to have a committee elected last year, we were told this year that we wouldn’t be electing one as there’s no money. This comes after a difficult financial year for the organisation. In November, national NUS president Shakira Martin and acting chief executive Peter Robertson announced that the NUS was unable to meet a projected £3m deficit from its existing reserves. In December, the NUS considered a proposal to scrap liberation officer roles whilst last week it formally announced a proposal to defund its Trans Campaign. On Twitter, Horgan described the decision as “really miserable news” and lamented on the campaign’s work “on the strike ballot, on curriculum reform, on student-staff misconduct, on the attainment gap, and against marketisation” that will no longer be carried out. She added: “All the section campaigns have had their budgets cut completely but to do this in the middle of a strike ballot on academic pay where our work could have been genuinely helpful is especially disheartening. Sofia Ropek-Hewson, president of Cambridge’s Graduate Union, told Varsity: “[The NUS Postgraduate Campaign] barely had any budget, and to cut it entirely is shameful. This makes clear, if their previous lack of work on postgraduate issues hadn’t, that NUS doesn’t care about postgraduate students, or access to postgraduate education in general. NUS should acknowledge the growing numbers of postgraduate students across the country, and their need for effective representation and restore their small budget. An NUS spokesperson told Varsity: "Even with the savings we've made so far this year (2018/19), we know that we will still post a deficit in year, and in subsequent years, without further action. 2019/20 will be a transition year which will require extraordinary action to ensure solvency and deliver a degree of financial stability. "Because of this, the NUS Joint Board meeting last week decided to maintain funding for 12 paid officer posts in 2019/20 and pause funding for eight. This ensures that those officers we are electing are given the support and resources they need to deliver for students. This is an interim measure and specific to our transitional year of 2019/20. "The future number of and focus of full-time officers, post 2019/20, is the subject of a NUS White Paper, published on 21 January 2019. What happens next will be decided by NUS members, when they respond to the consultation and vote on NUS reform later this year." Correction, on Friday 1st February: This article was amended to remove a claim that the GU is not affiliated to the NUS because only university union can be affiliated to the it. The article was also updated to include a comment from an NUS spokesperson.